Arkansas Internet Radio streams local bands and songwriters 24/7 on our broadcast. Come Listen – Submit Music. This entry was posted in Whatever and tagged Arkansas, Internet, Radio. As a DJ for many years, of course I’m biased about who is the best wedding DJ in Arkansas. I believe, I should win the best wedding DJ in Arkansas. But, unfortunately it is not up to me, but up to the Seoul grantor of this deemed best of the best. Which is the brides or better known as past clients who have hired a DJ service for a wedding ceremony or reception. Apparently, there is a competition going on with the A list that has several Arkansas DJs battling for the first position to be the best Arkansas wedding DJ. Of course, there is nothing wrong with a little simple competition if that’s what it truly is, but from my insight I see there is some animosity being generated between DJs in the DJ community. Personally, I am in competition with no one, I am a DJ because I love music and entertaining people and that pretty much sums it up. I don’t mind helping other DJs work in the wedding industry. But, I can not be a part of badgering and unethical practices that are taking place at this very moment to discredit others. I have mentioned many times in the past to DJ’s in Arkansas, there is plenty of business to go around for everyone, not one DJ or DJ service can take care of every bride planning a wedding in our state. I hope anyone becoming a DJ or a long standing DJ understands this is the case, there is no reason to feel threatened by another DJ working in the state of Arkansas. There is absolutely no way you could take care of every single bride planning a wedding in our state, for the simple fact there are tons of brides planning weddings every single year. There are like 50 counties in Arkansas and 25 actual DJ providers, that’s a lot of territory to cover in one swoop. I just don’t see why there should be a problem and I thought I would clear the air and let all DJs understand there is actually plenty of work for everyone of us, so stop bickering amongst one another and work together. agendas and I want no part of it and you shouldn’t either. I would like to see all DJ’s in Arkansas work together to give the brides the best DJ entertainment there is to offer. If we all work on this goal together we will all work all of the time. So, let’s be the professionals we truly are and work with one another and ignore the ones creating the drama, because unfortunately they must be having a hard time, because they’re focusing on the wrong aspect of the business. 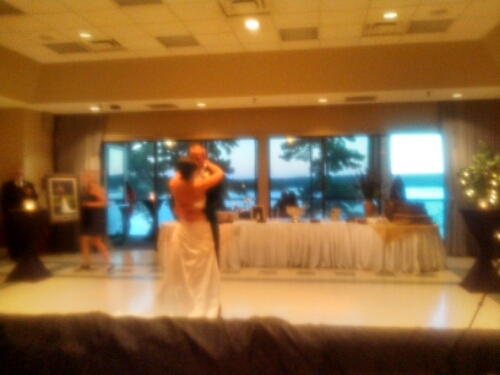 This entry was posted in Arkansas DJ and tagged A List, Arkansas, Best Wedding DJ, City Voter, dj, DJ. DJs, wedding. It’s a really nice web design and the folks that operate the website really know what they’re doing. You should totally check them out if you are planning a wedding in Arkansas. Just get a quote and I think you’ll be happy with it because they offer some really good DJ packages and other benefits as well. I know a lot of brides are always in the market for a really good DJ for their wedding and it can be pretty trying finding a good DJ at an affordable price. Because there are lots of DJs in Arkansas but only a handful of DJs are really good that you should even consider hiring for your wedding reception. But that’s another story in itself and we could go on and on about that, but we won’t today! I really like Arkansas Wedding DJs website, I have seen their set up when their at an event and it is really impressive and the DJs are very professional and very courteous with your guests. This entry was posted in Arkansas DJ and tagged Arkansas, dj, wedding. That’s right, over the last month or so I have been constantly replacing my campaign signs that have been stolen from different locations. From Glen Rose, Sheridan and outside of Malvern Arkansas. They are only stealing them on the main hi-ways, I would assume it’s easier to pull over and steal it that way. As I stepped out this afternoon to go to the store, I noticed some of my campaign signs missing at their locations. Well, when I got back to the house I made a post on Facebook about “Somebody keeps stealing my campaign signs on Hwy 67 around Glen Rose and Malvern, Arkansas”. and then I told one of my daughters to get ready we are going to replace some signs again that have been stolen. Right after that my phone started ringing and it was KARK Channel 4 news – Arkansas Matters. The news journalist Leah Uko told me they saw my tweet on twitter and wanted to come do a story about what had happen to me. (Note: My Facebook page is linked to my Twitter account, so when I post on FB, it posts on Twitter). Wow, I was shocked and then told her sure why not. We met about 40 minutes later at a local gas station and her and a videographer filmed the story. District 15 Candidate Replaces Stolen Campaign Signs – Arkansas Matters. This entry was posted in arkansas house and tagged 15, 4, Arkansas, campaign, candidate, district, Glen Rose, house, KARK, Leah Uko, libertarian, Malvern, Sheridan, signs, stolen, Wayne Willems. Libertarian Frank Gilbert running for Arkansas governor is from Tull, Arkansas. Frank has already held three offices in Arkansas, elected offices that is. Coroner, constable, and mayor. Three trusted positions and he did a great job and earned the respect of the people in his community. Frank Gilbert would make a great governor for Arkansas because he actually understands how the people feel about government and the way government has taken from the people and ignored the people. I have noticed it is not about policy with Frank Gilbert, it’s about doing the right thing and the people of Arkansas seem to come first when Frank Gilbert is speaking. FRANK wants to get rid of the income tax, he believes if you want to raise minimum wage that’s a bad idea so ending the income tax would actually give everyone a raise and not just a choice few. Which raising the minimum wage is a really bad idea if you think about it, because government for one has no business whatsoever telling a business what they should do. I guess the 17 trillion dollars in debt will clarify why government has no business telling anyone what to do at all. Mr Gilbert also wholeheartedly supports the 2nd amendment and believes the buck stops there in gun debate. The other three candidates running for governor of Arkansas are kind of vague about how they really stand with the 2nd amendment, especially about the Constitutional Carry law that was passed a few years ago. Frank Gilbert also believes government should stay out of marriage, he feels that government should not have a say in who marries who. That is between two consenting adults and their Creator. Another issue that Frank speaks about is getting rid of common core in the state of Arkansas. He would like to see a voucher system put in place for schools, so students can attend wherever they wish and the ultimate power should be left up to the parents discretion. I have also heard Frank Gilbert opposed Obamacare and the private option in Arkansas, have to say I agree with him both should be ended in our state. Because, both are just big government programs that we as are Arkansans can not afford. Frank Gilbert has many other issues that he would like to work on but I just thought I would share a few of these points about his campaign he is running. I feel Arkansas is ready to have a real governor for the first time in the History of our state. This entry was posted in Freedom and tagged Arkansas, common core, frank, gilbert, governor, libertarian, private option. 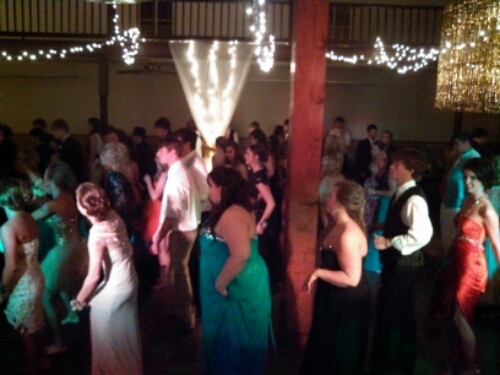 Arkansas DJ service provides the best wedding services in the state of Arkansas as far as I am concerned. The website they provide is top notch, with beautiful colors and lots of information about hiring a DJ or their karaoke services. This DJ service seems to have a lot of experience with weddings and that is a plus to have a professional DJ offering services for your wedding day. A good reason why it’s a good idea to hire a professional DJ service for your wedding day is to give you peace of mind, so you don’t have to worry about what the DJ’s doing because they know just what to do to make everyone have a good time dancing and mingling while you are the host of your event. They also specialize in wedding ceremony music for your ceremony and the reception music is great with a wonderful light show and great sound. 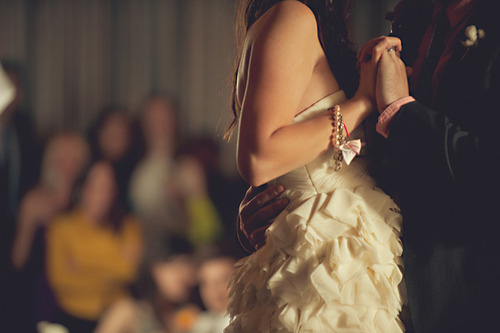 Arkansas DJ service no doubt provides a great deal for brides in Arkansas. Oh yes, and let me mention again they also provide great karaoke as well just stop by their website and check out some of the event packages they offer. This entry was posted in Arkansas DJ and tagged Arkansas, Brides, dj, Packages, Reception, service, wedding. Should you be having an outdoor wedding, take into account the costs involved. To save cash on your wedding, understand that outdoor weddings might need permits, have party size restrictions, and if you will be permitted to have music. Also, climatic conditions could add extra costs to your outdoor wedding plans. While it’s important to offer your wedding DJ with a list of songs you love and wish to be played at your reception, it’s equally as important to let him know what you DON’T like. Maybe it’s country music, or heavy metal, or even your “special song” from an old lover. Whatever it is let him know so you don’t end up cringing at your own wedding! An experienced wedding DJ will also make your event move smoothly, so make sure to hire a professional instead of a beginner. Nothing worst than watching your guests sit around bored out of their minds and then leaving your reception early. This entry was posted in Arkansas Wedding and tagged Arkansas, dj, Music, Reception, wedding.